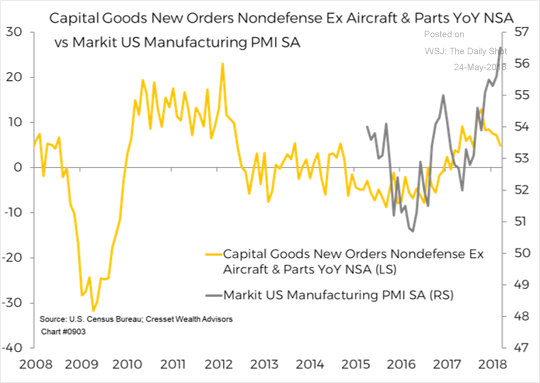 The United States: Economists are still waiting to see further improvements in capital goods orders. 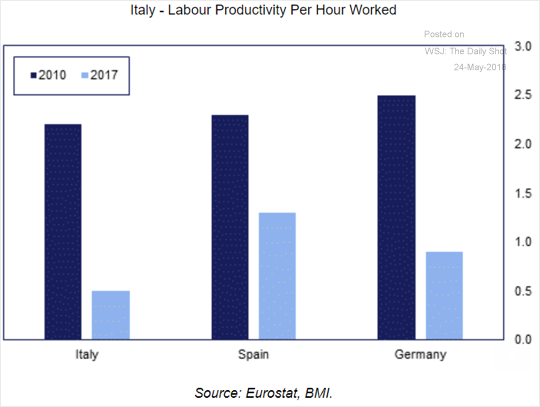 The Eurozone: This chart compares labor productivity for Italy, Spain, and Germany. 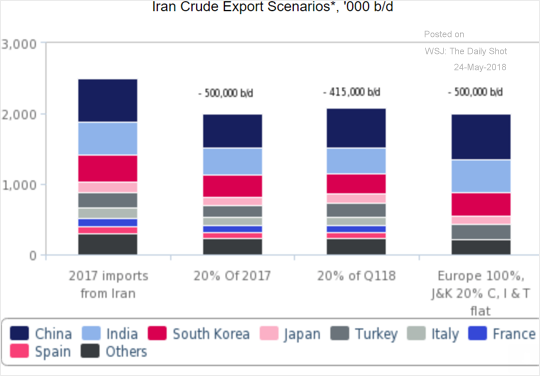 Energy: Here are some scenarios for Iran’s oil exports going forward. 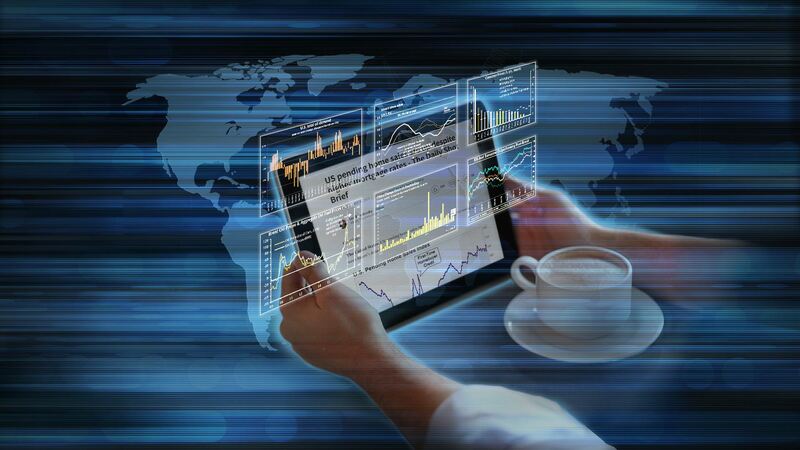 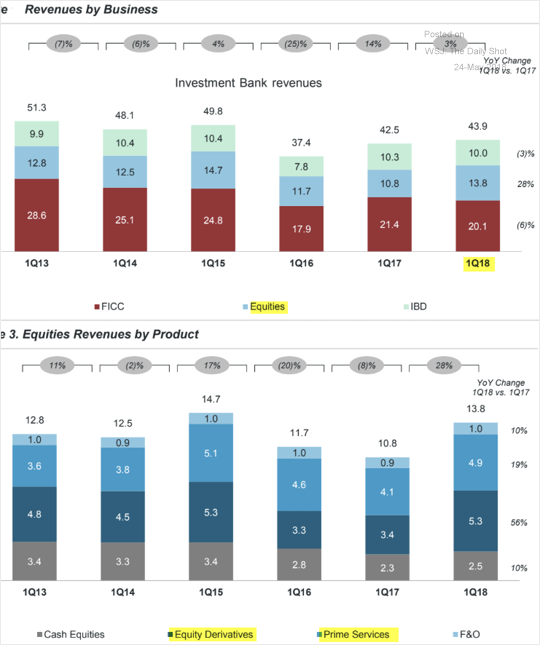 Equity Markets: Investment banking revenues in equities have improved in the first quarter, driven primarily by prime services (stock lending and other financing services to hedge funds) and equity derivatives. 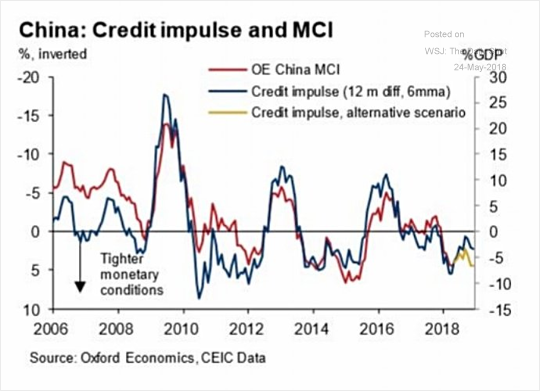 China: China’s weakening credit impulse surprised some economists. 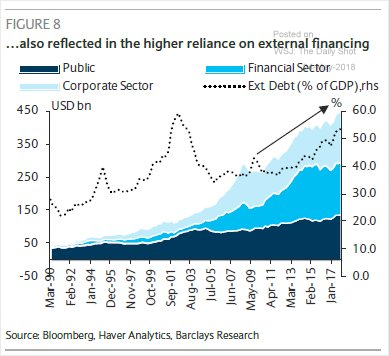 Emerging Markets: This chart shows the growth in Turkeys’ external financing needs. 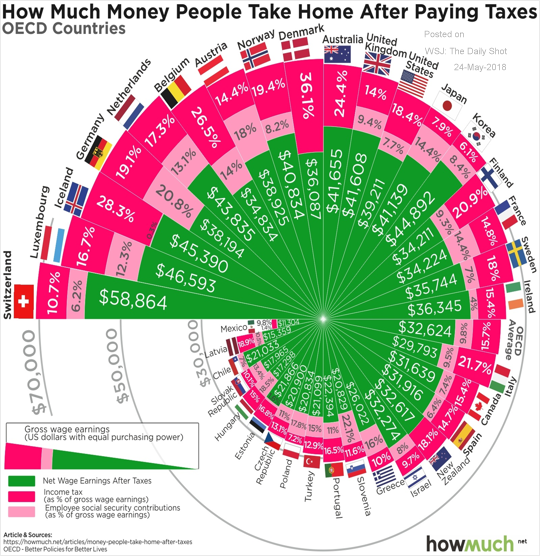 Food for Thought: Take-home wages globally.